“You’re so organized!” Rusty said. Ha! Organized is about the last adjective I would use to describe myself, but I do know how to use Google Maps, and I had simply marked their place as a favorite the last time we were here – 3 years ago. 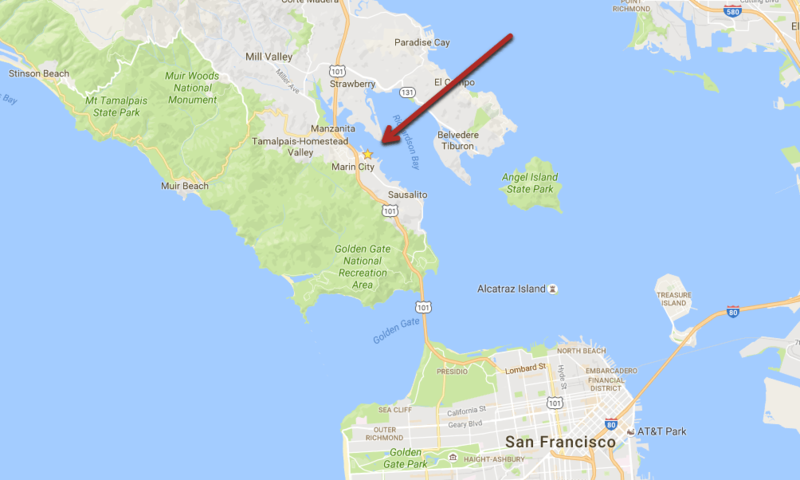 All I had to do was open Google Maps on my phone, tap on the gold star in Sausalito and ask for navigation. Make sure you are logged in to your Google account – look in the upper right corner. Longpress on the blue dot (touch and hold) until you see a red teardrop placemarker appear. From now on, whenever you view Google Maps and you’re logged in to your Google account, you can view that location and see a flag labeled “Rusty and Tony’s.” Tap that icon and then the blue arrow for navigate, and you’re on your way! Google just announced a new app called Trips. It has some interesting features, but the more I look at other travel and mapping apps, I keep coming back to Google Maps. It does so much, just keep learning. Chris Guld is President and Teacher-in-Chief at GeeksOnTour.com. She has been in computer training and support since 1983 and owned a Computer Training Center called Computer Savvy from 1983-1996. She has been a Fulltime RVer, popular seminar presenter at RV Rallies, and regular contributor to RVTravel, for many years. Published by MrsGeek, in Blog. Tagged with Apps for Travelers, Geeks on Tour, google, Google Maps.